Well,Ive put 12000 mi.on them so far,there still in place,thanks for asking John. 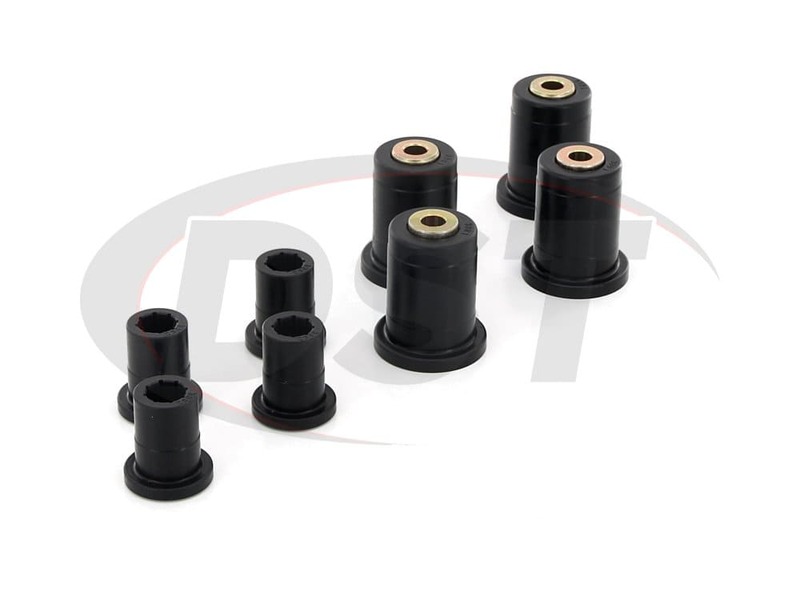 starstarstarstarstar" Great Bushing Kit "
No Problem at all! 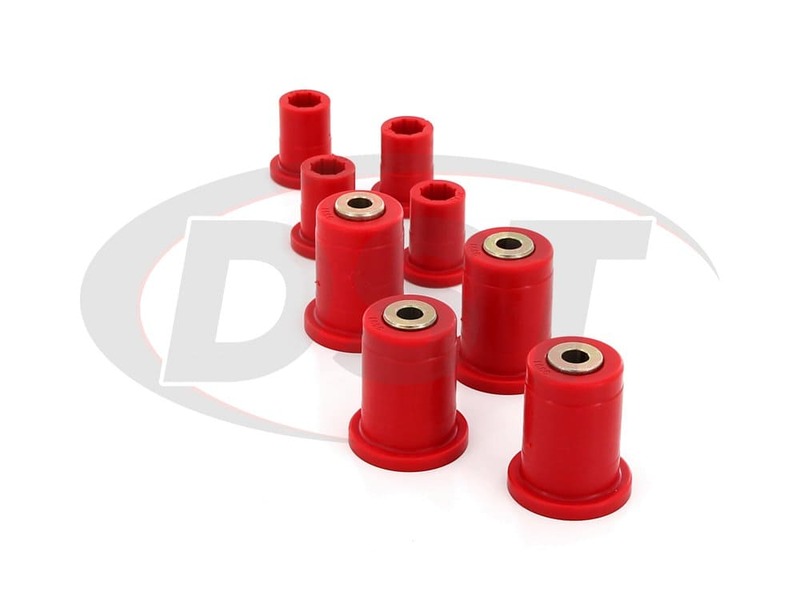 Used these on my 1975 GMC FWD Motorhome. The bushings fit perfectly into the existing outer sleeves, and the new inner sleeves were easy to install too! The original metal end caps fit perfectly into the new inner sleeves. 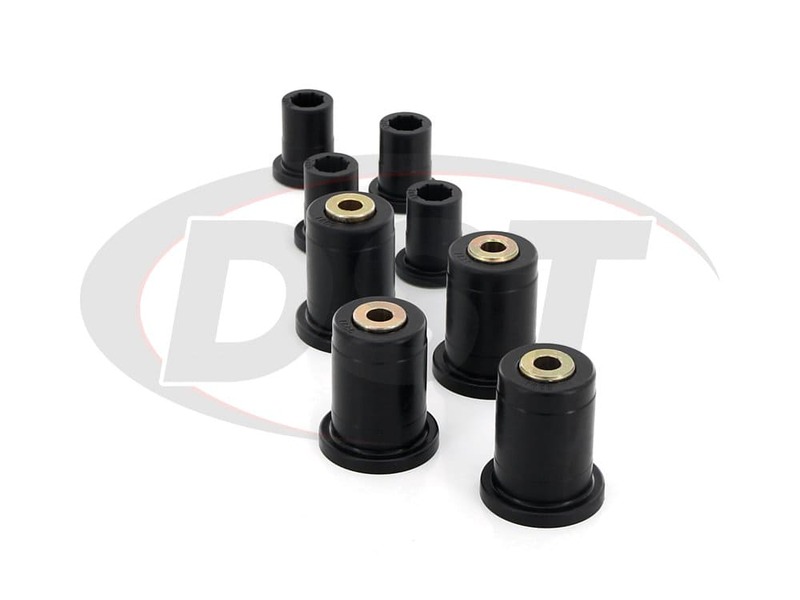 The ride is smooth, maybe a tad more road feel than rubber bushings but, these will last forever, and they are WAY easier to install! No press needed! 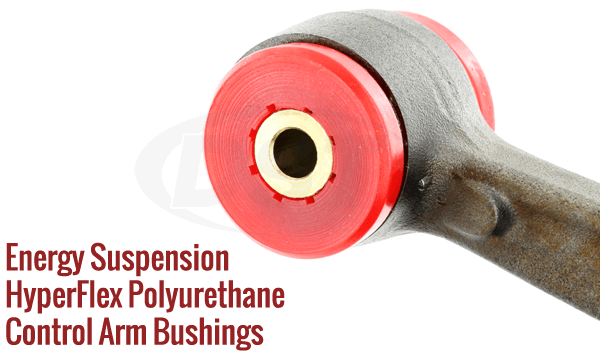 Would highly recommend these bushings! 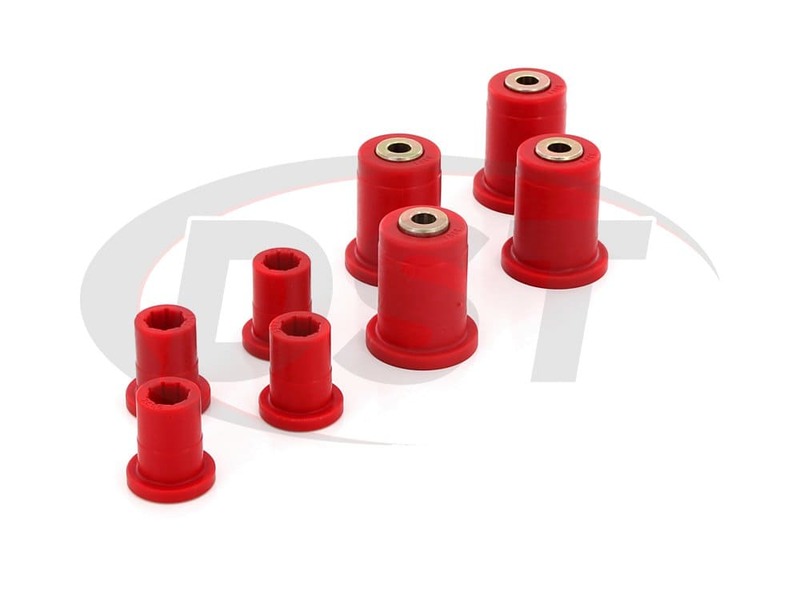 Will this kit replace all of the front control arm bushings of the vehicle? 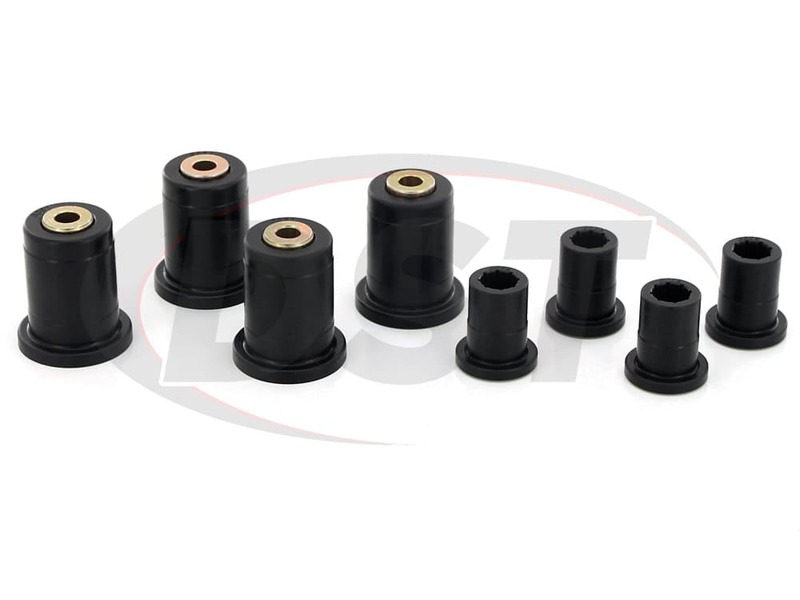 This kit will cover the Front Uppers and the Front Lowers of the Control arm, for both sides of the vehicle. 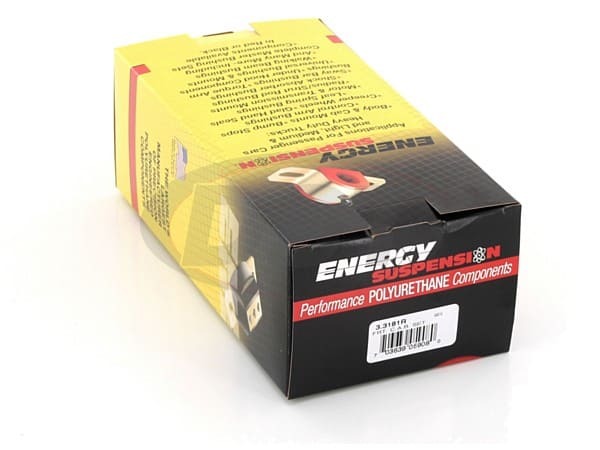 Unlike nearly every other Energy Suspension brand part.  This part is only produced in Black. Inquiries concerning this revealed that at the time they do not plan to make this part in Red now or in the future.